Manchester United are reportedly ready to pay as much as £44million and offer high wages to Jordi Alba in order to persuade him to join them in a transfer from Barcelona. The Spain international has been a star player for club and country for a number of years now and could undoubtedly shine in the Premier League and Champions League for a club like United. This latest link with Alba comes from Don Balon, who add that the Red Devils’ interest in Alba could be a worry for his team-mate Lionel Messi, who values him highly. The piece states Messi views Alba as one of the most important players at the Nou Camp, with the pair known for their superb link-up for some time now. 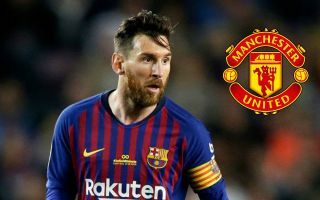 It remains to be seen if United will succeed in signing the 29-year-old, but a £44m offer for a player of that age might be tempting for Barca, who’ll be confident of luring another big name to come in his place. The Catalan giants often sign the best players in the world, though in this case they may be better advised to keep hold of Alba for his quality, experience and on-pitch relationship with main man Messi.